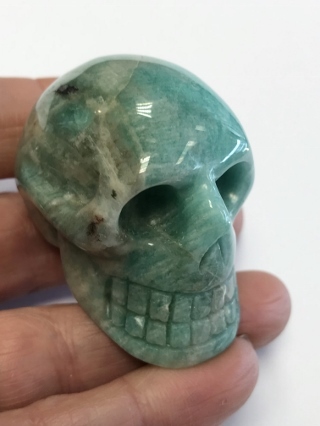 A tactile and charismatic Amazonite crystal skull. Amazonite is a member of the Feldspar family, named because of its blue green waves of colour that are reminiscent of the Amazon River. It has been fashioned into jewellery and artifacts for centuries, for example in the relics of Tutankhamun. 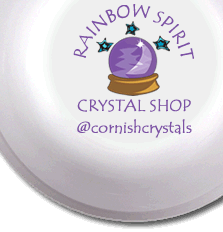 Its properties are to facilitate compassion and love through hamonising the actions of the throat and heart chakras. Key Healing Properties: cell regeneration; gout; arthritis; prevention of hair loss; repair of brittle nails/hair; over/underactive thyroid and adrenals.